It took two days to get from Panama City to Fort Pierce, Florida. The ride through the panhandle was lovely; all the small communities along the highway fascinate me and I often think how nice it would be to own a small tract of land for spending time in fall or spring. Ahhh. We stayed overnight on November 20th in North Ocala. After a while, with sun shining through Endie's windshield, I warmed sufficiently to shed my socks and house shoes and it felt good to leave the cold behind, finally. As is true every time we come here, Wayne wants to explore other places in Florida before we settle in for the winter. I know he has an urge to take the rig into the Keys, possibly going on to Key West, but he doesn't like what he reads about the campgrounds there... either way too expensive or the sites are really jammed together. Today we'll settle for getting over to the east coast. we've got ten days to spend before our reservation begins. 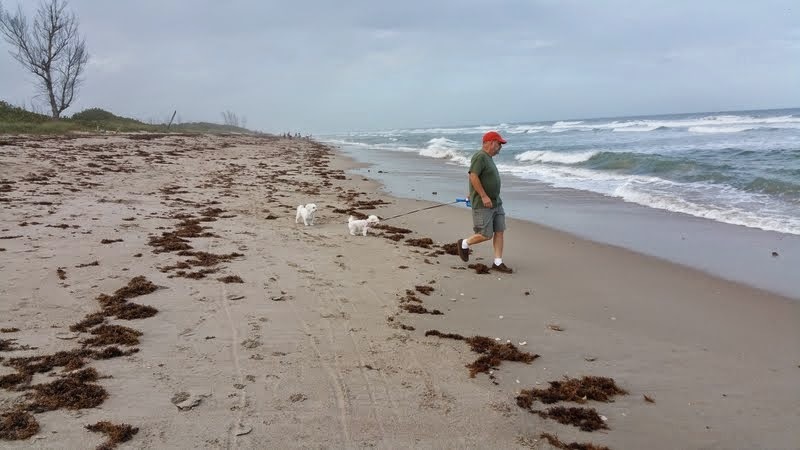 We drove quite awhile before deciding, between us, to stop in again at Savanna Preserve Recreation Area near Fort Pierce. Having been there before, we know it's an "okay" place. We'll stay a day or so while he decided where else he wants to go. I rarely have a strong feeling about the places we go in Florida. Looking the other way from our coach. Yes, there are alligators in these waters, ma'am. I suppose the economic downturn of years past is over as evidenced by the lack of camping space this early in the winter visitors season. We called several campgrounds but couldn't put together a stay at a place with a price we liked. After three days we realized we were just marking the days until we returned to Seminole Campground. One phone call to the campground encouraged us to arrive a week early. Here, we knew we would be comfortable and could settle in for a good long winters rest. 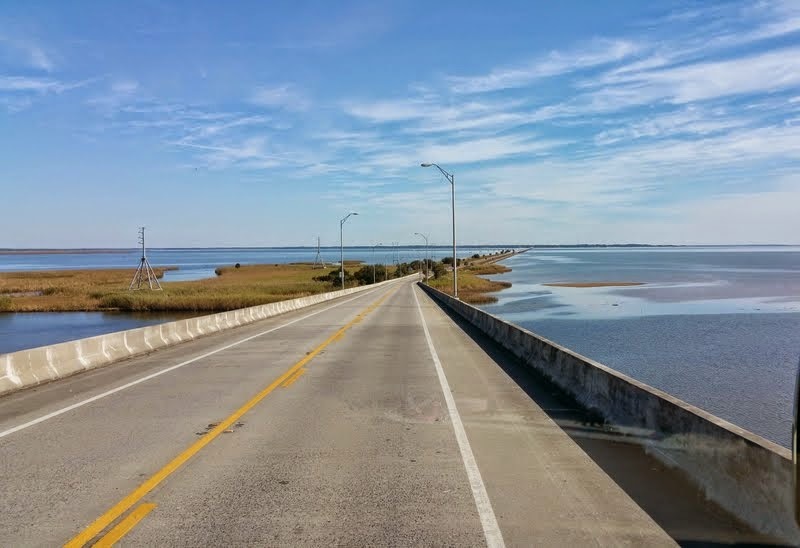 On our last day at Savanna Preserve, we drove a ways south on the coastal highway. 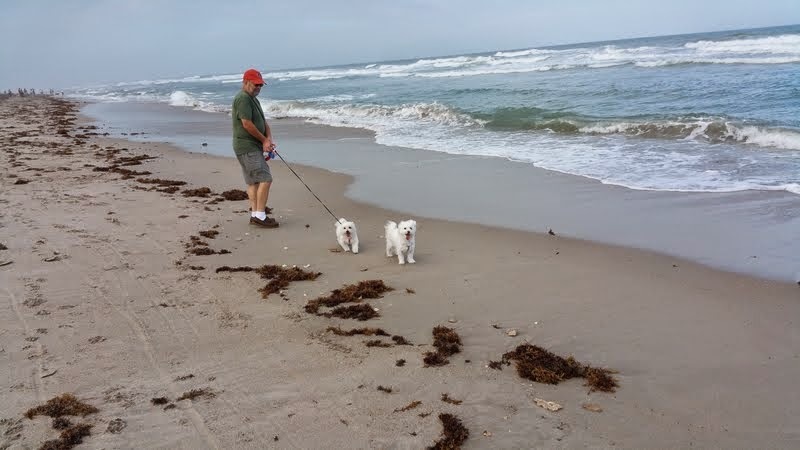 To our surprise, we came upon a nice dog beach near Jensen Beach where Lexie and Ozzie enjoyed a romp in the sand and surf. 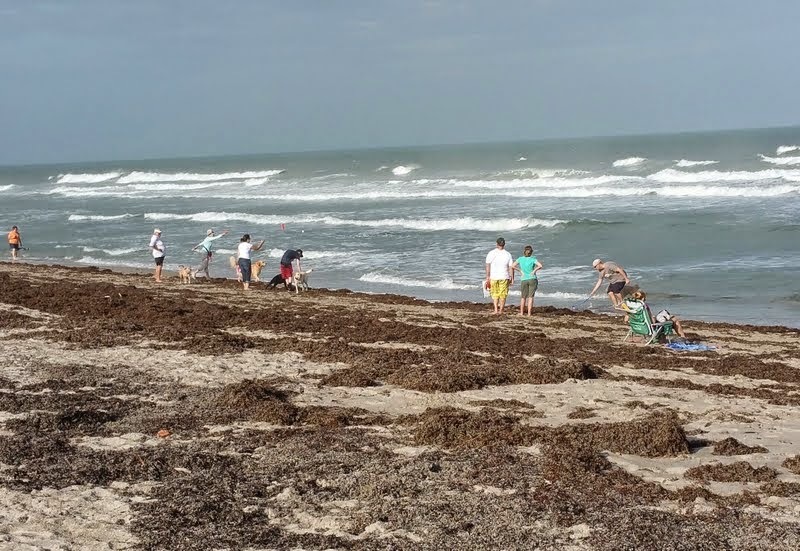 A rare find in Florida -- dog beach. Ozzie gets to go "off leash" but not Lexie. If she gets frightened, she will run from us. 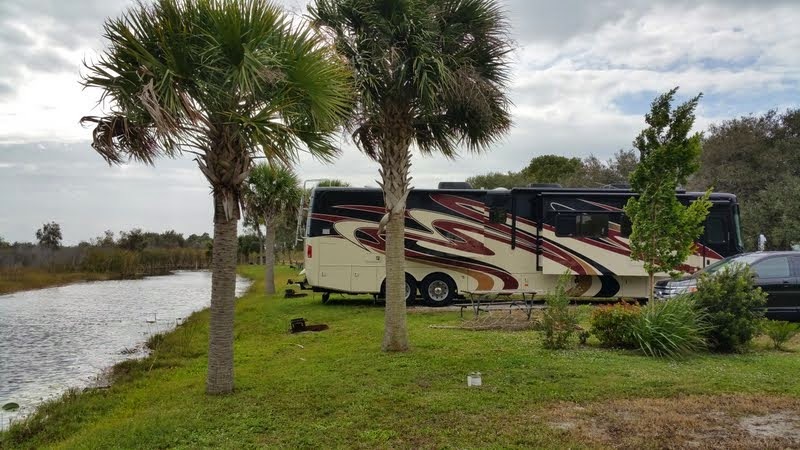 From here we'll move on to our winter home at Seminole Campground in North Fort Myers.